As the world is increasingly globalized, the convergence of cultures is more or less normalized. 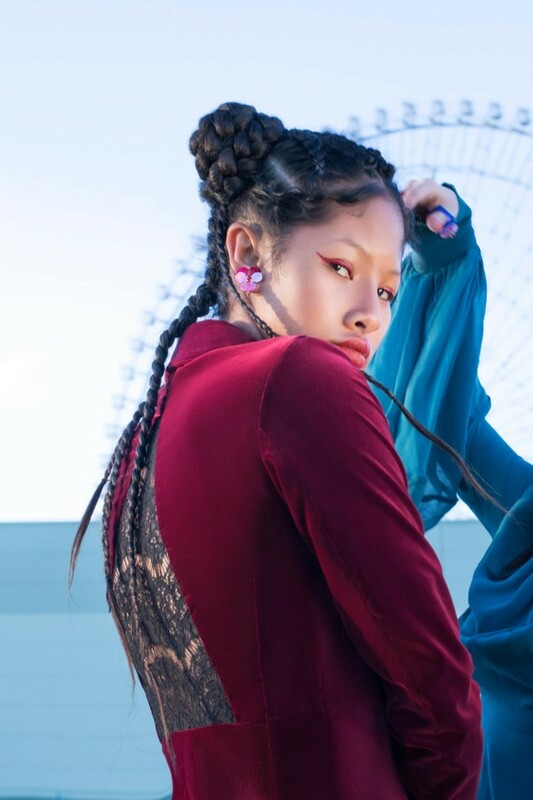 The work of Ikon Chiba, a fashion director hailing from two nations with cultures as ancient as they are rich, celebrates the power that comes with this type of amalgamation. His latest photo series entitled Meet ME Halfway does just that. Set in Osaka, the photos intentionally emphasize the contrast between his Egyptian and Japanese roots, with Middle Eastern elements subtly juxtaposed against the Japanese landscape. His models, Japanese in origin, were adorned in pieces made by Egyptian designers such as The King’s Mother, Ammani, Kojak, Sandbox, Anne Marie Kirollos and Boyeur — amongst them a bag by Okhtein, a high-end accessory brand that’s been making quite the buzz throughout the globe for their creative designs. MILLE’s favourite, Nafiska Skourti’s designs were also featured, with the models wearing some of her pieces. A number of Japanese brands like Roggykei, Hokuro and Kotenrawere were also included in the project. But while cultural differences were the optimum focus, similarities were also brought to the forefront, with red—a colour with significance to both cultures—subtly incorporated throughout the shoot.